2360. A couple days of beautiful weather, before winter returned. 2361. My husband making me a display for my essential oils. 2362. Seeing I Can Only Imagine and having dinner with friends. 2363. Sleeping in on Saturday. 2364. 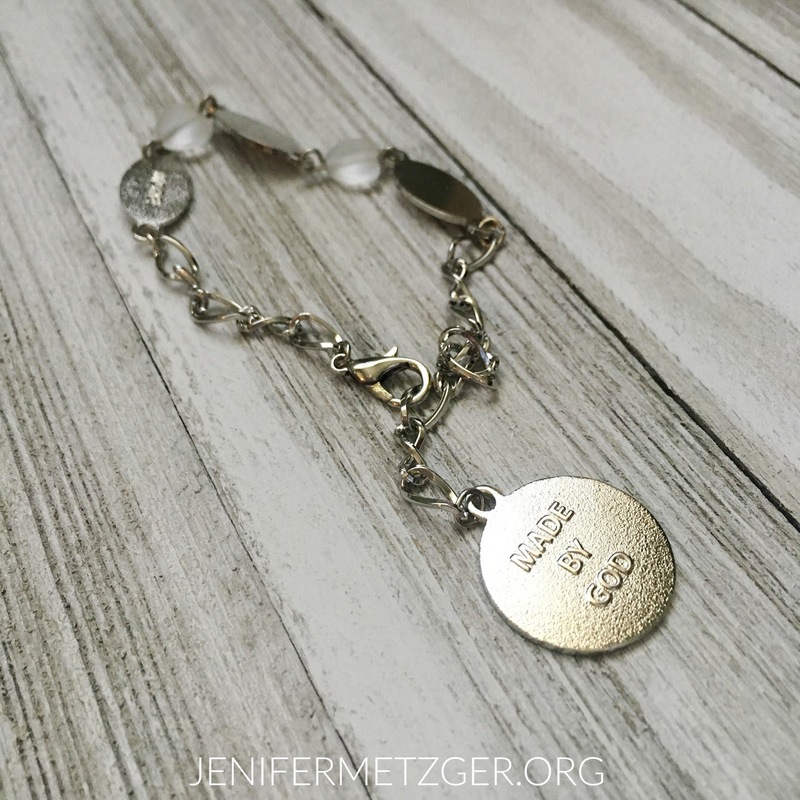 The reminder, from my ladies Bible study and jewelry, that I was made by God. 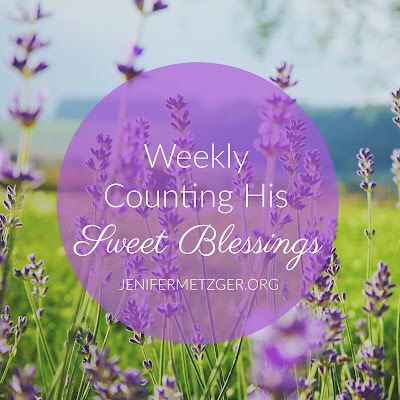 We need to remember that we were made by God, on purpose, for a purpose. To help us remember this important truth, I have partnered with Dawn Pelletteri from Designed for More Jewelry to bring you a beautiful giveaway! 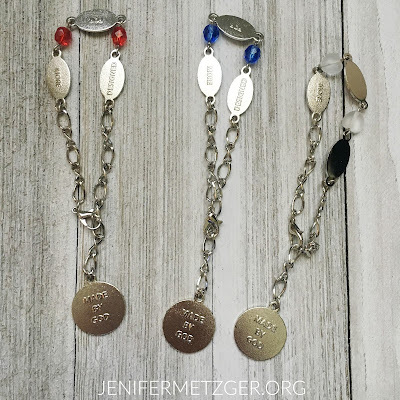 Dawn creates beautiful necklaces, bracelets and key chains with the message "Made by God." These bracelets say Designed for More and Made by God. They are adjustable from 7-8.5 inches.You can get red, blue, or clear beads. The bracelets are beautiful! Perfect to give your tee shirt and jeans and dressier look, yet still perfect for your Sunday best. 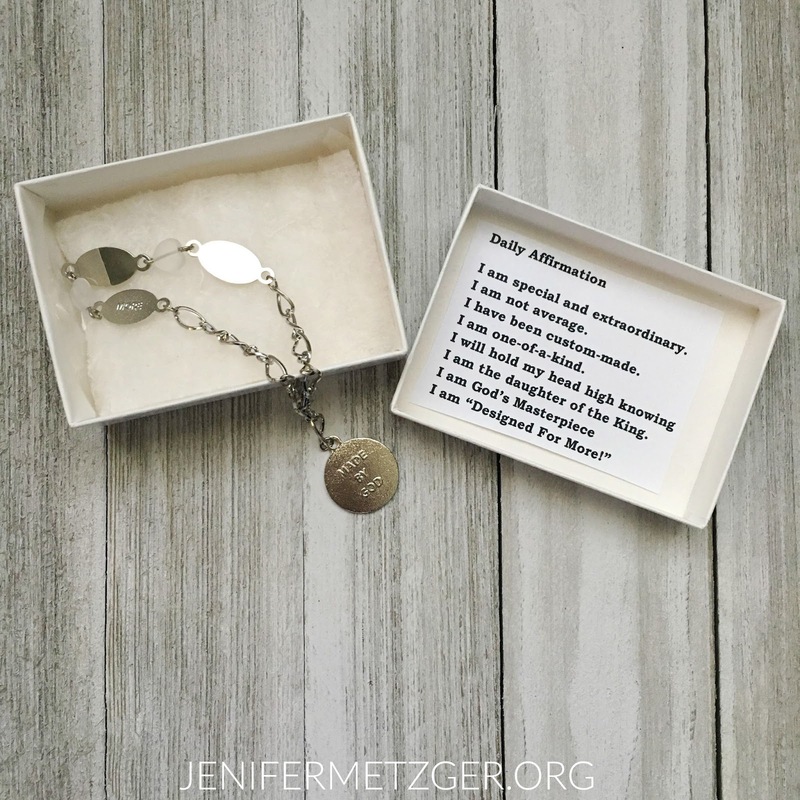 Each bracelet comes boxed with a Daily Affirmation. This affirmation will remind you each day that you are special and extraordinary, not average, custom made, one of a kind, and tells you to hold your head high knowing you are a daughter of the King, God's masterpiece, and designed for more. 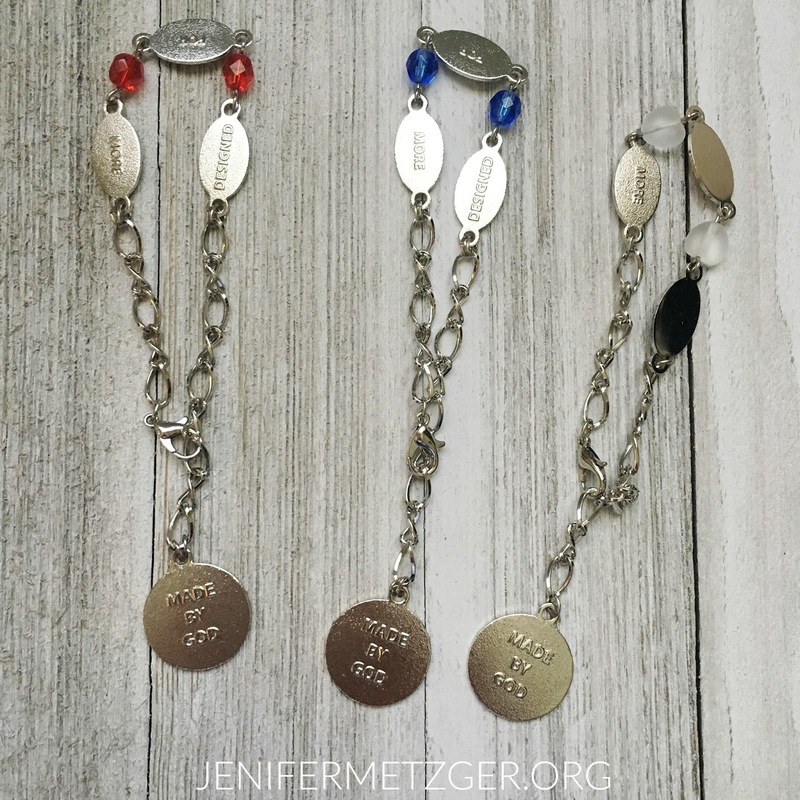 Dawn has given me three beautiful necklaces to giveaway to three blessed ladies. To enter to win, complete each task in the rafflecopter below. **To enter to win a necklace from Designed for More, head over to Woman to Woman HERE. Praise music, reading verses about who God says I am, reminding myself that I am loved, chosen and redeemed! Beautiful! God has a purpose for me. I remind myself that I was made by God by reading and studying scripture and by enjoying the beauty in nature.